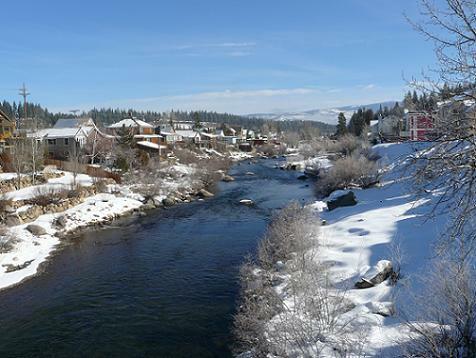 Truckee River has lots of recreational opportunities! 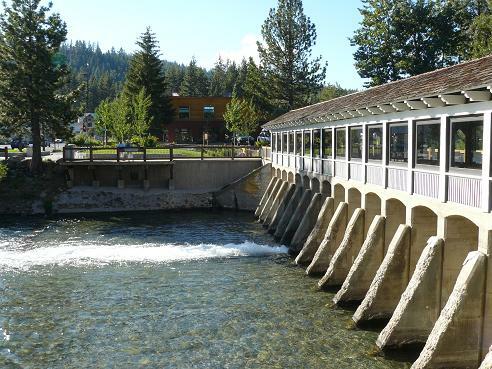 The Truckee River starts at the dam in Tahoe City, with the source of the River being Lake Tahoe. The dam has a bridge over it, which is known as "Fannie Bridge", due to the constant stream of tourists standing on the bridge and looking down into the water, where feeding the fish is a common past time. 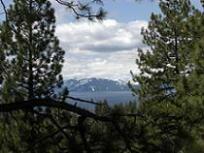 The River flows along Hwy 89, past Alpine Meadows, and Squaw Valley, to Truckee and then turns east, and flows into the State of Nevada, through the Reno and Sparks area. 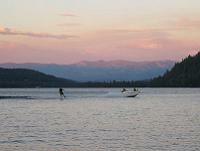 The River, which is about 120 miles long, eventually empties into the southern end of Pyramid Lake. 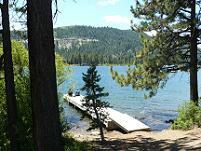 The River provides residents and visitors to Truckee, many recreational opportunities. 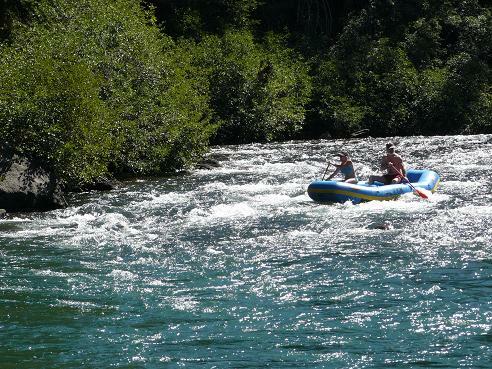 Truckee River Rafting from Tahoe City to River Ranch Restaurant, a distance of about 3 miles is extremely popular in Summer. 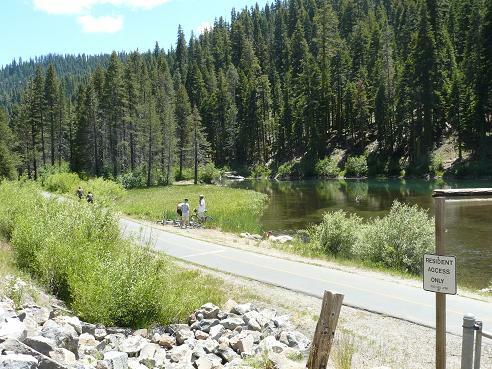 There is a bike trail that runs along the river from Tahoe City to Squaw Valley where bikers can enjoy the river scenery along the way. Fishing, primarily Fly Fishing in the River is also extremely popular. In Downtown Reno, the River is the home of the Truckee River Whitewater Park, which is used primarily for Kayaking. This is a video of Mike Wilson, doing a Triple Back Flip off of a 60 Foot Rope Swing into the Truckee River. Lots of Rafters stopped to watch. From what I could tell from the comments on the video, this was just off of Hwy 89, before Alpine Meadows. Mike Wilson went on to do a similar video, but with 99 Foot Quadruple Back Flips into Lake Tahoe in the Summer of 2010, that I have included on my Lake Tahoe page that is a MUST SEE! 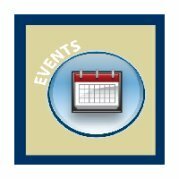 Truckee River Recreational Map - This is a great map from the Truckee Meadows Water Authority! 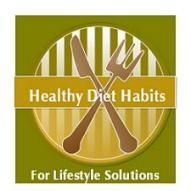 Right click on the link to download the map, or left click to print (on legal paper) from your browser window. The Photo's above, will randomly change with all of the Truckee River photo's that I have uploaded in the Truckee Travel Guide's Flickr photo's "Truckee River Photoset". 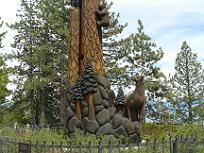 To view all the photo's, just click above on the "Truckee River" blue link to view the entire set of photo's.